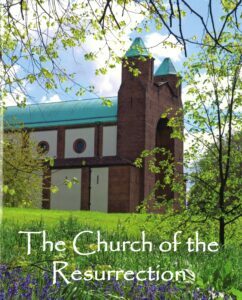 A picture-book of the Church of Resurrection has been specially commissioned to mark CR’s 125th anniversary and the re-hallowing of the Community Church, covering the church’s history from the beginning to today, with 40 picture-packed pages. Produced by noted local historian Frances Stott, and a visual triumph, it will give immense pleasure and satisfaction to all who know CR, and many who don’t. Priced at £6, it’s available in the church and bookshop, or from our online bookshop, or phone 01924 483345.